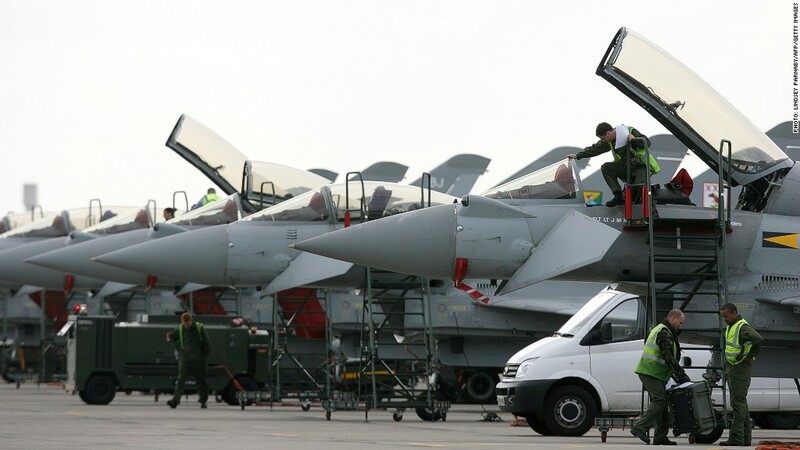 British manufacturer BAE Systems, which makes fighter jets and other military equipment, could lose privileged access to the market for U.S. defense contracts, a big fund manager said. Plans to create a European aerospace and defense giant through the merger of EADS and BAE Systems make no strategic sense, BAE's biggest shareholder said on Monday. A merger with EADS, which is controlled by France and Germany, would damage the British defense manufacturer's privileged access to the lucrative market for U.S. military contracts, fund manager Invesco Perpetual said. Invesco, which owns about 13.3% of BAE, said it had significant reservations about the proposal and its impact for BAE, which generates over 40% of its revenue in the United States. The deal would bring together the maker of Airbus planes and Europe's largest arms manufacturer. The companies believe the combination will allow them to generate growth by achieving a better revenue balance between civil aviation and defense. France and Germany each control 22.5% of EADS. Those stakes would be diluted in a merger with BAE but still leave both countries with significant influence. The stinging rejection of the current structure of the deal comes just before a Wednesday deadline for EADS and BAE to reveal more details of the combination, which would create a global rival to US defense contractors such as Lockheed Martin (LMT), Northrop Grumman (NOC) and Boeing (BA). French media group Lagadere, which owns 7.5% of EADS, has also expressed concern at the proposed terms, according to which EADS would end up with 60% of the combined group. Britain could block the $45 billion deal if its concerns about political influence are not addressed, defense minister Philip Hammond said on Sunday.